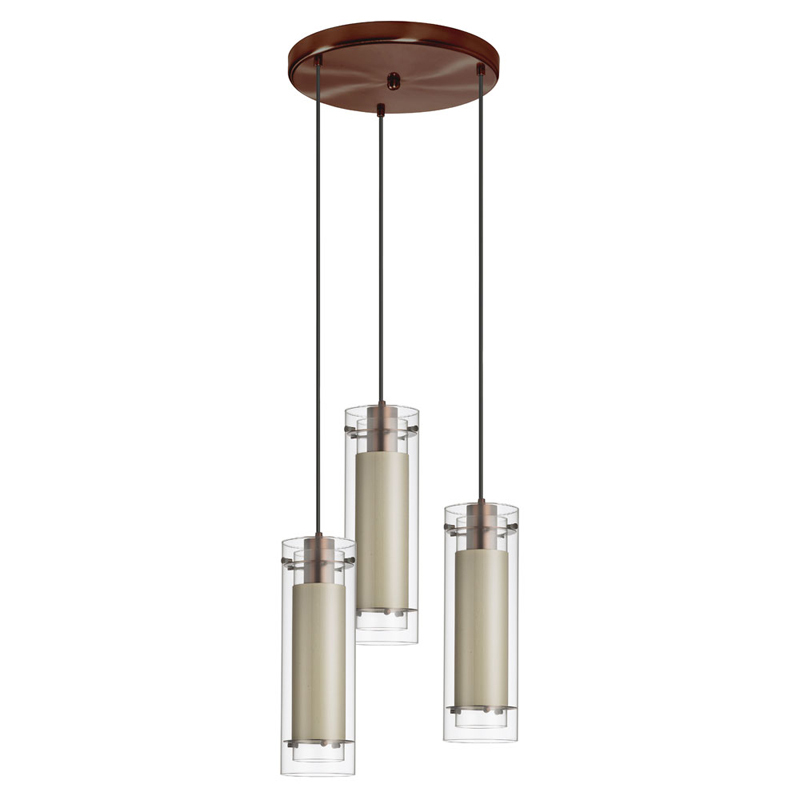 Combining a contemporary design with a lavish polished chrome finish, this 3-light pendant radiantly enriches any dining room and will wonderfully showcase your interior décor. 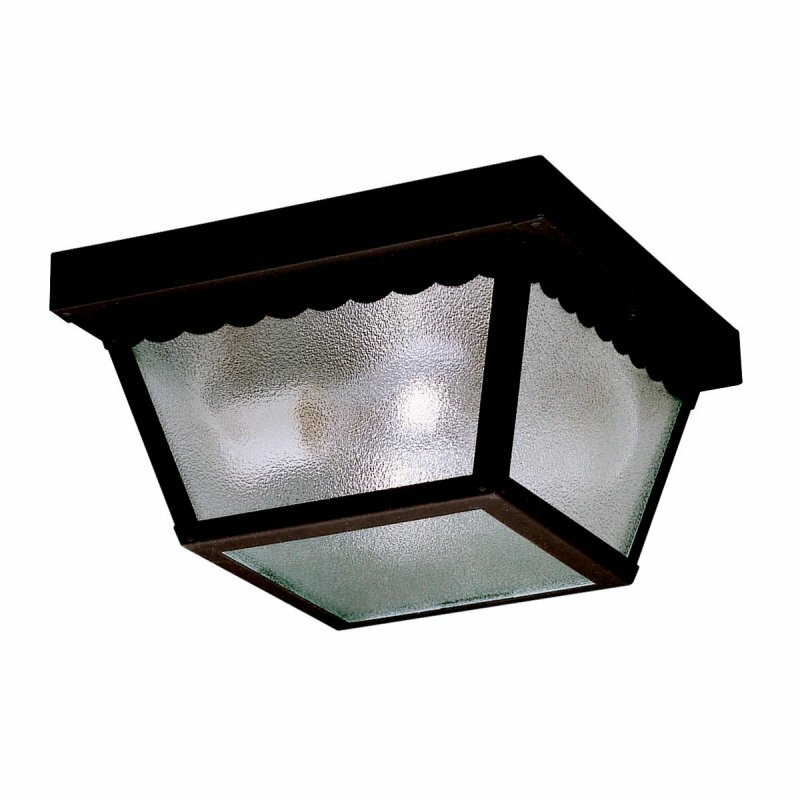 In addition, it features a delightful steel fabric sleeve silver wire inside a white frosted glass shade and shines wonderfully alone or coupled with other fixtures from the Aurora Lighting Collection. 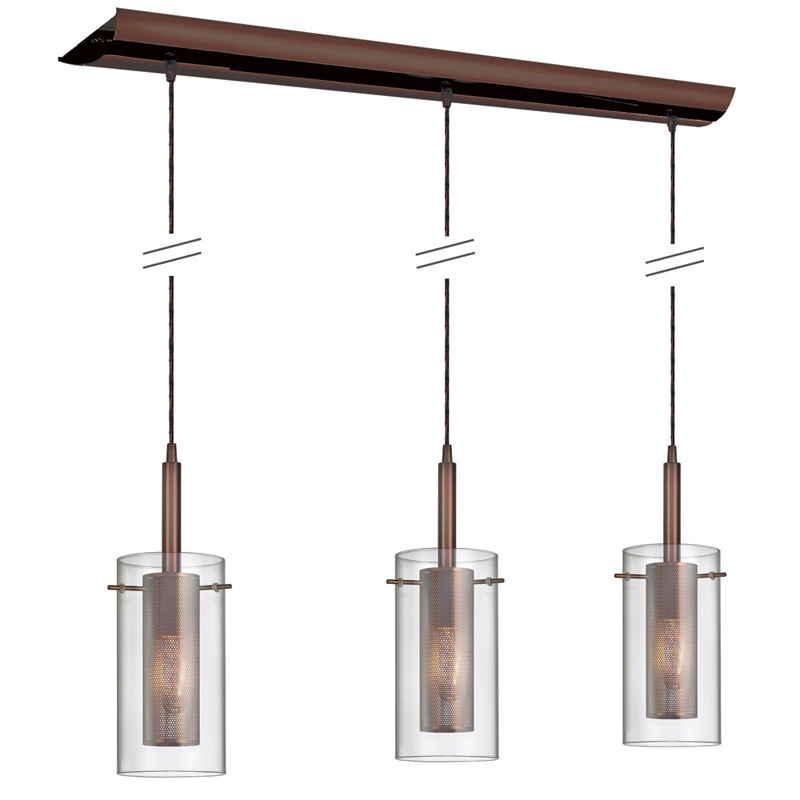 Make a fashionable statement with this 3-light island pendant from the Cynthia Collection. It will impart a splendid style to your space with its modern frame, opulent clear crystal strand(s) shade, and delightful polished chrome finish. A perfect match with most interior styles, this island pendant brings a unique look to any kitchen or hallway and a comfortable atmosphere with its halogen shine. Cynthia crystal pendant lighting has an almost magical allure that beautifies your dinette or bar with grace. Asymmetrical drops of Optical Crystals provide the twinkle as they dangle below or inside tubular frames, with polished chrome to accentuate the effect. It's a bright and pretty design that imparts subtle lighting with a not so subtle appeal. The Cynthia line of lighting is ideal above chrome counters or kitchen islands, imparting a stylish touch to functional areas. 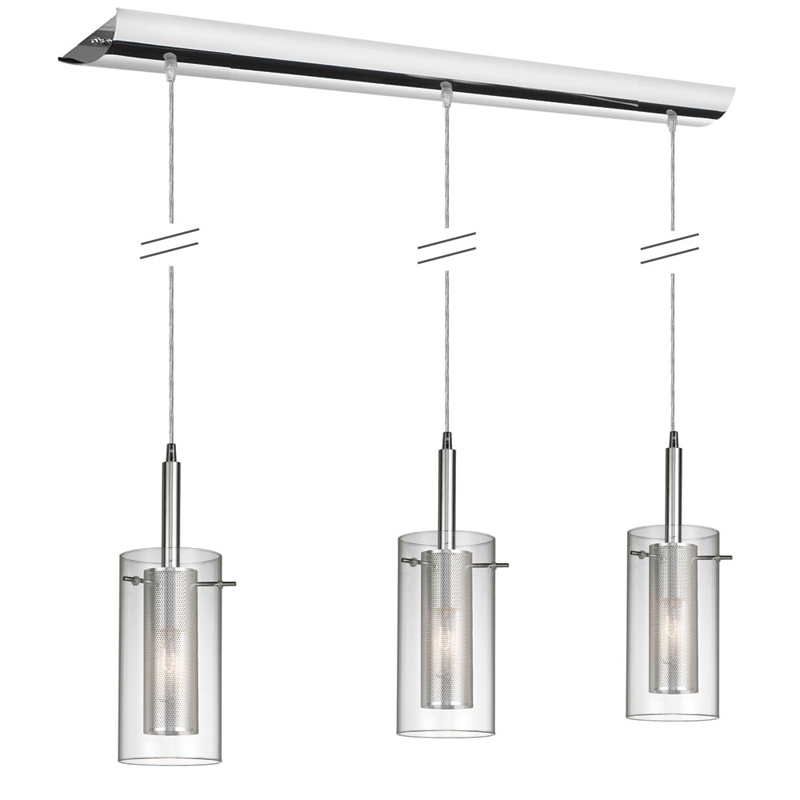 Combining a modern design with a lavish polished chrome finish, this 3-light pendant radiantly enriches any kitchen or hallway and will wonderfully showcase your interior décor. 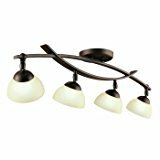 In addition, it features a delightful clear crystal strand(s) shade and shines wonderfully alone or coupled with other fixtures from the Cynthia Collection. 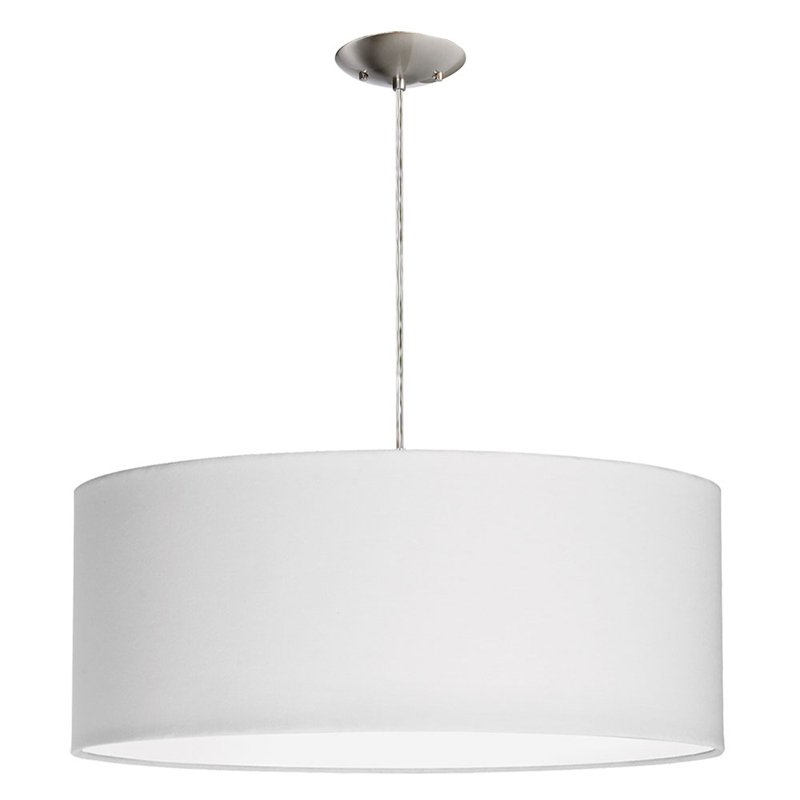 Adorned with a stunning white drum shade pendant with white fabric diffuser shade, this 3-light pendant brings a rich, contemporary elegance to any dining room and adds a sophisticated touch to most any interior style. Pairing the eloquent styling of the Aurora Lighting Collection with a satin chrome finish, this incandescent pendant is certainly a must have. 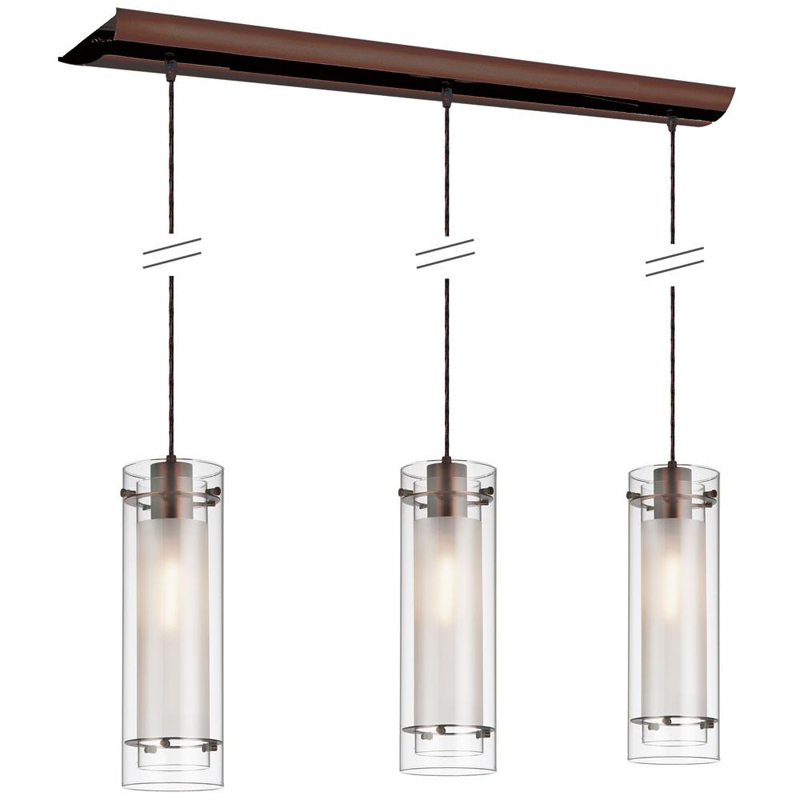 Illuminate the interior of your home with a charming 3-light pendant from the contemporary Aurora Lighting Collection. Brightening any space in a gorgeous halogen glow, this pendant unites a posh satin chrome shade with a distinct satin chrome finish that will surely add a wonderful touch of color to any dining room. Adorned with a stunning polished chrome steel mesh inside a clear glass shade, this 3-light pendant brings a rich, contemporary elegance to any dining room and adds a sophisticated touch to most any interior style. Pairing the eloquent styling of the Aurora Lighting Collection with a polished chrome finish, this incandescent pendant is certainly a must have. 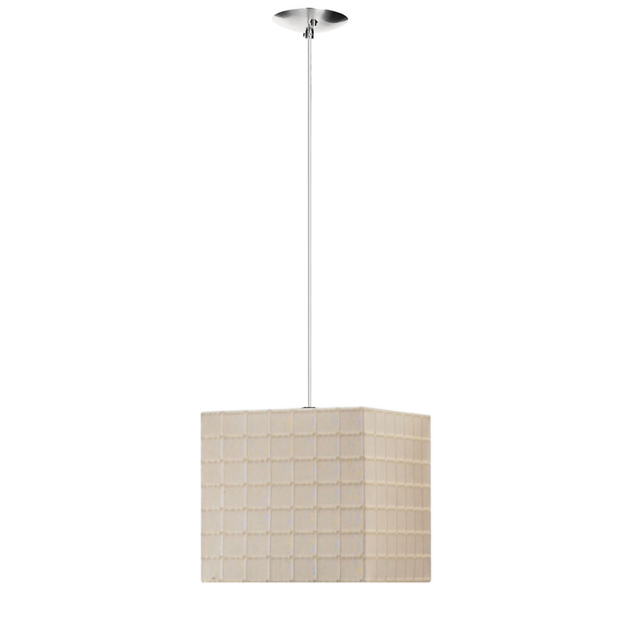 Illuminate the interior of your home with a charming 3-light pendant from the contemporary Aurora Lighting Collection. Brightening any space in a gorgeous incandescent glow, this pendant unites a posh white frosted glass shade with a distinct oil brushed bronze finish that will surely add a wonderful touch of color to any dining room. The contemporary style and 3 chrome mesh shades within 3 clear glass cylinders shade of this 3-light pendant will undoubtedly bring a glamorous look to the interior design of your home. Complemented with a distinctive satin chrome finish, this halogen pendant, from the Aurora Lighting Collection, will perfectly illuminate any dining room and become an essential element of your home's design. The contemporary style and frosted white twisted glass shade of this 3-light pendant will undoubtedly bring a glamorous look to the interior design of your home. Complemented with a distinctive satin chrome finish, this incandescent pendant, from the Aurora Lighting Collection, will perfectly illuminate any dining room and become an essential element of your home's design. 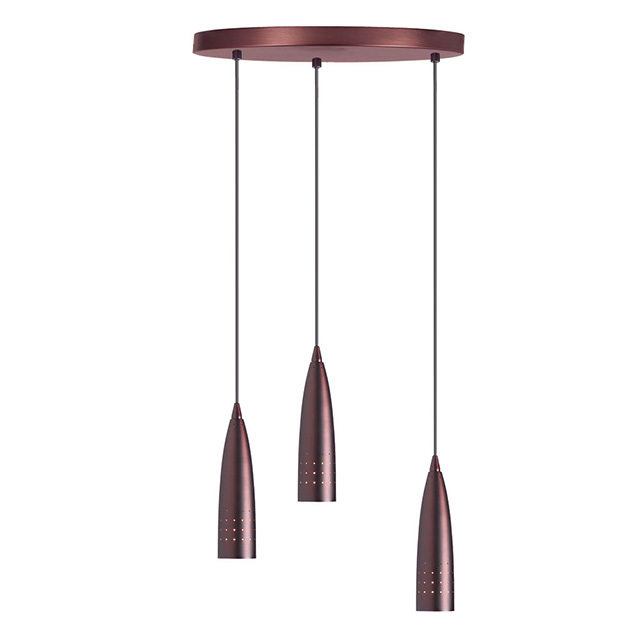 Combining a contemporary design with a lavish oil brushed bronze finish, this 3-light pendant radiantly enriches any dining room and will wonderfully showcase your interior décor. In addition, it features a delightful silk latte fabric sleeve inside a round clear glass shade and shines wonderfully alone or coupled with other fixtures from the Aurora Lighting Collection. The contemporary style and diana tan fabric sleeve inside a round clear glass shade of this 3-light pendant will undoubtedly bring a glamorous look to the interior design of your home. Complemented with a distinctive oil brushed bronze finish, this incandescent pendant, from the Aurora Lighting Collection, will perfectly illuminate any dining room and become an essential element of your home's design.